In early days, you can view an area of the map in offline but now you can view the directions, search any particular destination and find details about the places including working hours, ratings, and contact information without internet connectivity. But all you have to do is to download the map for the particular area in your mobile devices. In brief, search the area in Google maps and tap download option provided in it, when the download is in progress switch to “offline areas” available in the Google maps menu and tap the “+” option. Once, the map gets downloaded the directions can be accessed in offline or no connectivity zone. When you switch on the internet or Wi-Fi connectivity, the Google maps will show the live traffic for your travelling area. By default, the Google maps will download the areas if you are in a Wi-Fi connection. 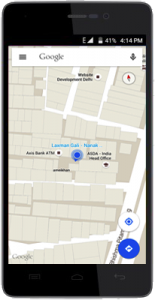 The offline feature of Google maps is now available in its latest version; try it in your android mobile phones today.